Josh Brookes attacked the Assen event from the off, topping the timesheets in every free practice and qualifying session. In the final Q3 qualifying session Brookes went 0.4 quicker than his nearest rival with a stunning 1:35.971 lap for pole position. 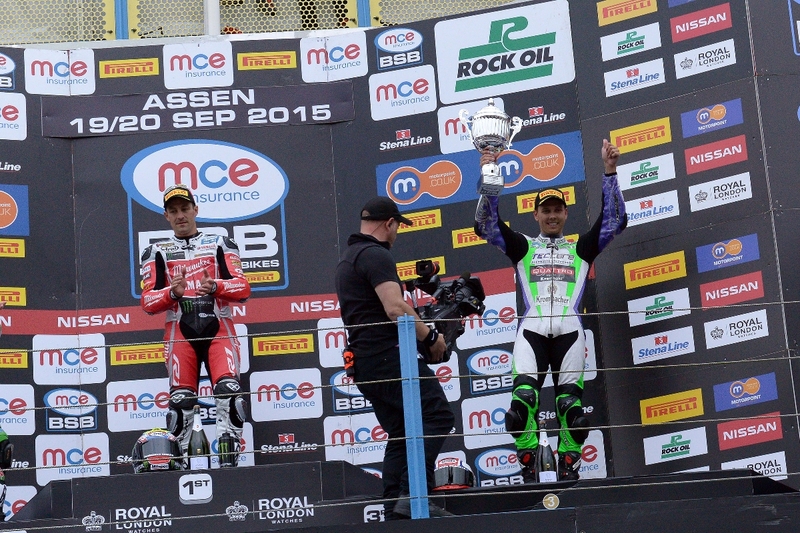 Race one was held under dark skies but the rain held off as Brookes stormed into the lead followed by Ellison. Byrne had a race long battle for third with Michael Laverty and John Hopkins. Brookes took a new lap record of 1:36.904 on lap five and was never headed, winning comfortably by six seconds from Ellison. 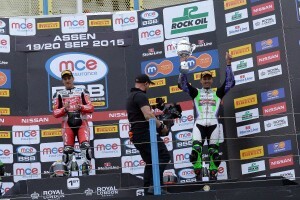 Laverty managed to hold off Byrne for his first podium of the season. Race two was a tense affair as light rain caused a delayed start to give teams more time to make a potential win or lose tyre decision. Linfoot on Diablo Rain full wet tyres pulled out a three second lead but as the track dried he was overtaken by the leaders before dropping back but continuing to circulate, to finish the race on the same lap as the winner. Luke Mossey and Richard Cooper both lead the race which ran at slower lap times due to the conditions, before the usual contenders of Brookes and Ellison powered through the pack to finish 1-2. Byrne had a frustrating weekend to finish 4th and 5th and lose ground on his arch rival Brookes. The series moves to the fast and wide Silverstone circuit in two weeks time.